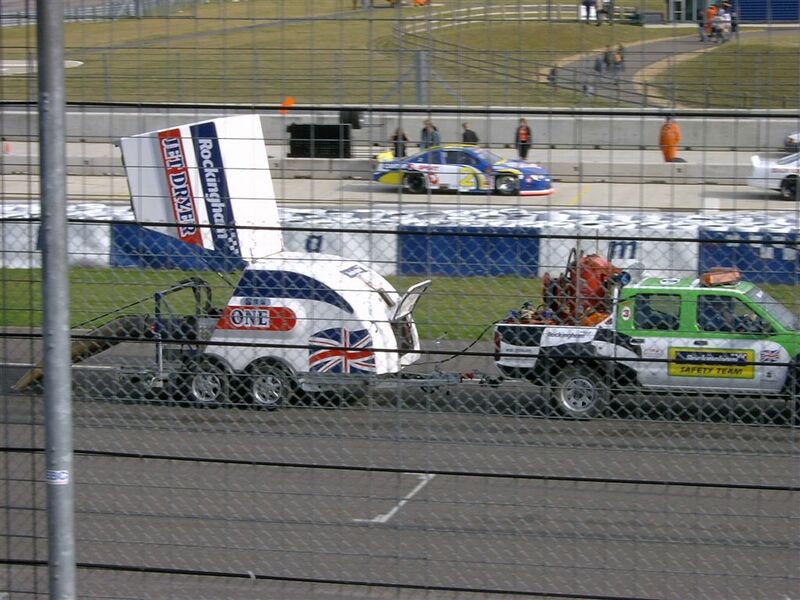 Terrafirmajets Jet Dryer one blasting around the track at speeds of up to 80mph from a spectator view. These units outperformed both the German competitors with their M701 powered units and A UK built Viper powered unit and consumed consideralby less fuel than either in doing so. They also left the track surface intact unlike the German competitor's units. 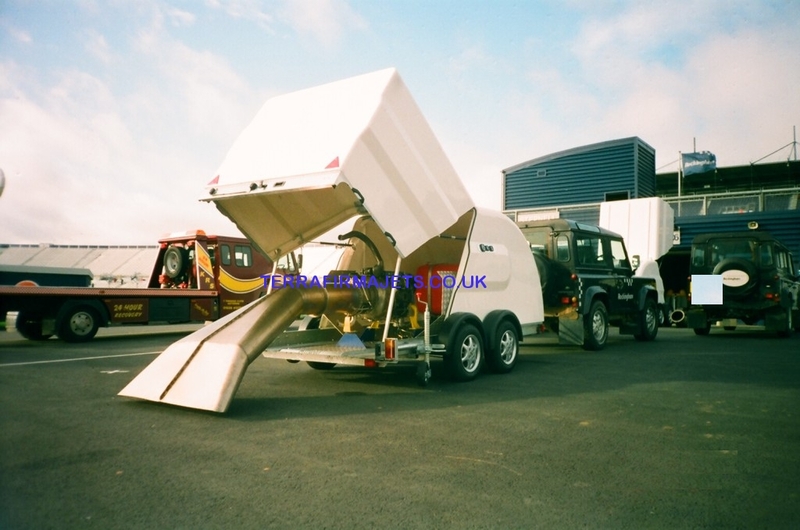 The entire unit folds away into the trailer for transport and is cleared for use on the public highway. No speed limitation other than that of the trailer manufacturer was stipulated and it is certified to carry its full 250 gallon fuel load on the highway. Versatility is built in with three different nozzle types to suit their specification. The enignes were selected to facillitate the other future services required by Rockingham in addition to the track drying feature. Such as high current DC generation, Lp high volume air delivery, and ballisic water vapour fire suppression. made available for field test eight weeks ahead of the scheduled first factory acceptance start up.